Battery A, 3rd Illinois Artillery: At Little Rock, Arkansas with six 3.80-inch James Rifles. As mentioned in earlier summaries, this battery was better known as the Springfield Light Artillery, or Vaughn’s Battery. Commanded by Captain Thomas F. Vaughn, the battery was part of the Arkansas Expedition. By the late fall, with reorganizations, the battery fell under the Second Division, Army of Arkansas. With Vaughn absent, Lieutenant Edward B. Stillings was in temporary command at the end of December. Chicago Board of Trade Battery: At Huntsville, Alabama, with four 6-pdr field guns and two 3.80-inch James Rifles. Captain James H. Stokes was still the battery commander. But as he was detailed to command a division of the Artillery Reserve, Army of the Cumberland, Lieutenant George I. Robinson led the battery. The battery was assigned to Second Division, Cavalry, Army of the Cumberland. They spent most of the fall supporting operations against Confederate raiders, before settling into winter quarters at Huntsville. Chicago Mercantile Battery: At Pass Cavallo, Texas, with six 3-inch Ordnance Rifles. Captain Patrick H. White remained in command. Assigned to the Third Division, Thirteenth Corps, the battery was part of a force sent to the Texas coast at the end of the year. Colvin’s Battery: At Knoxville, Tennessee, with two 3-inch Ordnance Rifles and two 10-pdr Parrotts. This battery was formed in the late summer with men from the 107th Illinois and 33rd Kentucky Infantry (along with some from the 22nd Indiana Battery). By October it was officially carried on the rolls as a battery. Captain John H. Colvin remained in command. The battery participated in the Knoxville Campaign as part of Fourth Division, Twenty-Third Corps. At the end of the year, the battery transferred to the Cavalry, Army of the Ohio. Bridge’s Battery: At Chattanooga, Tennessee, with two 12-pdr Napoleons and six 3-inch Ordnance Rifles. Captain Lyman Bridges commanded. With reorganizations after Chickamuaga, the battery was assigned to Third Division, Fourth Corps. The battery participated in the operations around Chattanooga that fall. They were among the batteries thrown forward to Orchard Knob. After victory at Chattanooga, the battery participated in the relief of Knoxville. Elgin or 5th Battery(? ): Also known as Renwick’s Battery, after its first commander. Reporting at Mossy (as written, Mofry?) Creek, Tennessee, with two 12-pdr Napoleons and four 24-pdr field howitzers. Captain Andrew M. Wood remained in command. And the battery with Second Division, Twenty Third Corps. The battery saw action at the battle of Mossy Creek, on December 29. Henshaw’s Battery: At Loudon, Tennessee, but with no artillery reported. In the previous quarter the battery reported four 6-pdr field guns and two 3.80-inch James rifles. Captain Edward C. Henshaw remained in command. The battery remained with Second Division, Twenty-Third Corps. After the relief of Nashville, the division moved to Loudon. However, they would from there move to Strawberry Plains, east of Knoxville, before wintering at Mossy Creek. Cogswell’s Battery: At Nashville, Tennessee, with four 3.80-inch James rifles. William Cogswell remained the battery captain. As part of Second Division, Seventeenth Corps, the battery was among the force sent to Chattanooga. The battery covered Sherman’s crossing and subsequent actions as the siege of that place was lifted. Then afterward participated in the relief of Knoxville. The battery went into winter quarters in north Alabama. In December the battery was assigned to Third Division, Fifteenth Corps. The Nashville location alludes to the reporting date of August 1864, after the battery was transferred to garrison duties. Lovejoy’s battery: Reporting at Brownsville, Arkansas with two 12-pdr mountain howitzer. This listing does not match with any of the “according to Dyer’s” Indiana batteries. We discussed Lovejoy’s Battery last quarter, but under the Missouri heading. It was a section from the 2nd Missouri Cavalry, Merrill’s Horse, then serving at Brownsville. I’m rather sure this is Lieutenant George F. Lovejoy’s section. But I cannot explain why the Ordnance Department would change the state attribution here. Board of Trade Battery: 139 shot and 224 case for 6-pdr field guns. Bridge’s Battery: 32 shell for 12-pdr Napoleons. Elgin Battery: 34 shot, 36 shell, and 117 case for 12-pdr Napoleons; 135 shell for 24-pdr field howitzers. Lovejoy’s Battery: 28 shell and 96 case for 12-pdr mountain howitzers. Board of Trade Battery: 197 canister for 6-pdr field guns. Bridge’s Battery: 17 canister for 12-pdr Napoleons. Elgin Battery: 25 canister for 12-pdr Napoleons; 116 case and 48 canister for 24-pdr field howitzers. Lovejoy’s Battery: 11 canister for 12-pdr mountain howitzers. Mercantile Battery: 512 shot and 281 time fuse shell for 3-inch rifles. Bridge’s Battery: 262 time fuse shell for 3-inch rifles. Springfield Light Artillery: 334 percussion fuse shell and 268 canister for 3.80-inch rifles. Board of Trade Battery: 23 percussion fuse shell and 30 canister for 3.80-inch rifles. Mercantile Battery: 240 percussion fuse shell and 138 canister for 3-inch rifles. Colvin’s Battery: 23 canister for 3-inch rifles. Bridge’s Battery: 240 percussion fuse shell, 240 case shot, and 160 canister for 3-inch rifles. Cogswell’s Battery: 170 percussion fuse shell and 149 canister for 3.80-inch rifles. Springfield Light Artillery: 236 shot, 212 shell, and 30 canister for 3.80-inch rifles. Board of Trade Battery: 40 shot and 41 shell for 3.80-inch rifles. Cogswell’s Battery: 31 shot, 247 shell, and 109 canister for 3.80-inch rifles. Colvin’s Battery: 56 shell and 19 case Parrott patent for 10-pdr Parrott. Board of Trade Battery: 104 Schenkl shell for 3.80-inch rifles. Springfield Light Artillery: ten horse artillery sabers. Board of Trade Battery: 104 Colt army revolvers, three cavalry sabers, and eighteen horse artillery sabers. Mercantile Battery: One Colt army revolver and four horse artillery sabers. Bridge’s Battery: Ten Remington army revolvers, fifteen cavalry sabers, and five horse artillery sabers. Elgin Battery: Six Remington navy revolvers and eight horse artillery sabers. Henshaw’s Battery: Sixteen Colt army revolvers, seven cavalry sabers, and nine horse artillery sabers. Cogswell’s Battery: Two Colt navy revolvers and two cavalry sabers. Springfield Light Artillery: 720 bags for James rifles. Board of Trade Battery: 312 bags for James rifles. Mercantile Battery: 40 bags for 3-inch rifles and 165 bags for 6-pdr field guns. Bridge’s Battery: 198 bags for 3-inch rifles. Cogswell’s Battery: 752 bags for James rifles. Springfield Light Artillery: 939 friction primers. Board of Trade Battery: 2128 friction primers and 250 percussion caps. Mercantile Battery: 550 paper fuses, 123 friction primers, and two yards of slow match. Bridge’s Battery: 800 pistol cartridges, 600 paper fuses, 595 friction primers, six yards of slow match, 150 percussion pistol caps, 560 percussion caps, and 27 portfires. Elgin Battery: 800 friction primers. Cogswell’s Battery: 740 friction primers and 12 portfires. Between December 1863 and the end of the war, many of these Illinois independent batteries ceased to be independent. As the batteries from the 1st and 2nd Illinois Artillery saw their members mustering out, and as some of those lettered batteries consolidated, the independent batteries were redesignated. Because of that, the Illinois records appear disconnected at points in 1864 and 1865. Sad, because many of these are batteries with enviable service records. Looking at the artillery formations Illinois sent to war, there are over a dozen independent batteries or sections which we may discuss. Some of these became batteries in the two artillery regiments. Others remained independent throughout the war. Famous independent batteries, I may add. 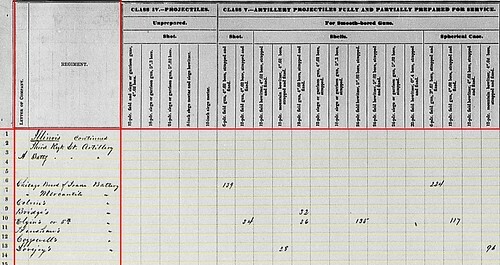 As discussed in previous quarters, we can identify Battery A, 3rd Illinois Artillery as Springfield Light Artillery, or Vaughn’s Battery (after Captain Thomas F. Vaughn). Battery A, 3rd Illinois / Springfield Light Artillery: At Little Rock, Arkansas with six 3.80-inch James rifles. Captain Thomas F. Vaughn commanded this battery, which was assigned to the Sixteenth Corps. As part of Steele’s Expedition to Little Rock, the battery got its first real taste of battle on September 10 at Bayou Fourche. In that action, Vaughn reported firing 14 shot, 292 shell, and 8 canister over three hours. The battery lost two men in the fight. Stokes’ Battery / Chicago Board of Trade Battery: Reporting at Nashville, Tennessee with four 6-pdr field guns, two 12-pdr field howitzers, one 3-inch Ordnance Rifle, one rifled 6-pdr (3.67-inch), and two 3.80-inch James rifles. At the end of September, this battery was, like most of the Army of the Cumberland, holding on at Chattanooga. The battery was with the force holding the river crossings above the city. By the time of the reporting date (November), the battery was posted near Huntsville, Alabama, having spent some of the intervening time supporting operations against Confederate cavalry raids. The battery remained with Second Division, Cavalry Corps, Army of the Cumberland. During the siege of Chattanooga, Captain James H. Stokes commanded Second Division of the Artillery Reserve, Army of the Cumberland (the “right batteries” in reports). In his place, Lieutenant George Robinson led the battery, with more than it’s fair share of cannon! Chicago Mercantile Battery: At Franklin, Louisiana with four 3-inch Ordnance rifles. In the reorganizations after Vicksburg, this battery moved with parent formation to the Fourth Division, Thirteenth Corps, which was sent to the Department of the Gulf. Captain Patrick H. White remained in command. Elgin Battery: No return. Assigned to the 23rd Corps, this battery participated in the Knoxville Campaign. Captain George W. Renwick resigned in May 1863 and was replaced by Captain Andrew M. Wood. Cogswell’s Battery: At Nashville, Tennessee with four 3.80-inch James rifles. This battery moved to Vicksburg in June as part of First Division, Sixteenth Corps. In July, just after the fall of that city, the battery transferred to Fourth Division, Fifteenth Corps. Thence transferring again to Seventh Division, Seventeenth Corps. And that division later became Second Division of the corps. Good thing corps badges were not used in the western theater at the time! In late September the battery moved to Memphis as part of the force sent to reinforce Chattanooga. The indicated location reflects the July 1864 reporting date. Though Captain William Cogswell remained in command of the battery, Lieutenant Henry G. Eddy appears to have led the battery in the field. 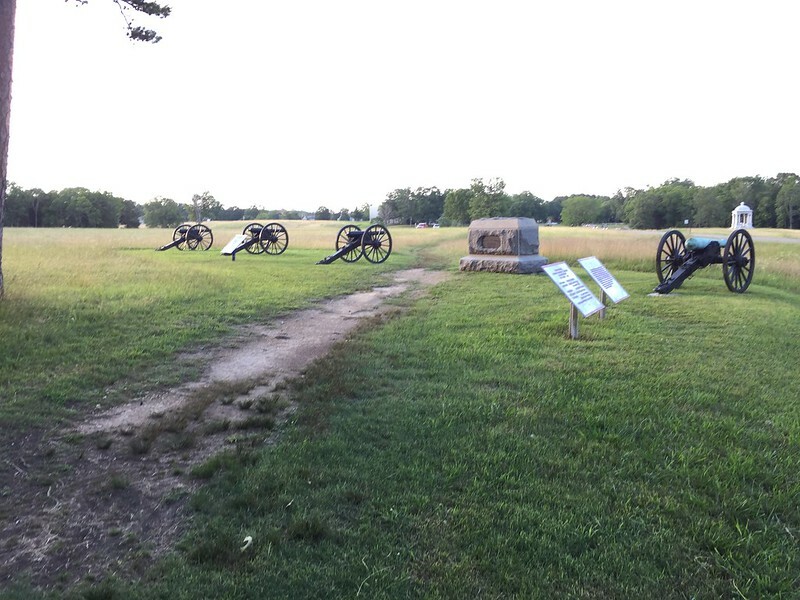 Henshaw’s Battery: Reporting from Loudon, Tennessee with four 6-pdr field guns and two 3.80-inch James rifles. In September 1863, this battery was part of Twenty-third Corps and in the advance toward Knoxville. So the Loudon location reflects a November reporting date. Captain Edward C. Henshaw commanded. Colvin’s Battery: “In the field, Tennessee” with two 3-inch Ordnance rifles and two 10-pdr Parrotts. Overlooked in the previous quarter, this battery was assigned to Twenty-Third Corps, and, as of the end of September, was part of the force in East Tennessee aimed at Knoxville. Captain John H. Colvin commanded. 14th Cavalry, Artillery Section: No location given, with four 12-pdr mountain howitzers. The 14th Illinois Cavalry was part of Twenty-third Corps at this time of the war and participated in the advance on Knoxville. The regiment, under Colonel Horace Capron, retained a section of mountain howitzers, led by Lieutenant Henry Clay Connelly. 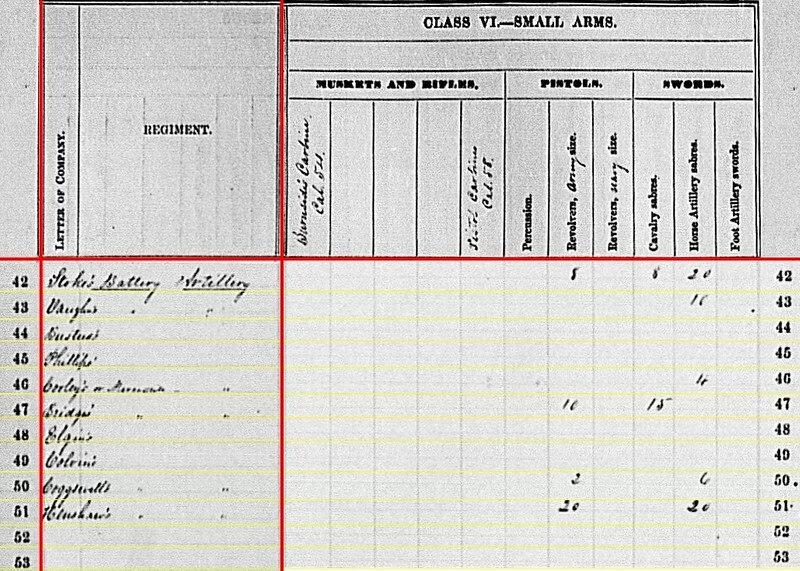 Taken with the service details of the 1st and 2nd Regiments, we see almost all the Illinois artillerymen were serving in the Western Theater at this time of the war. Springfield Battery: 274 Hotchkiss percussion shell for 3.80-inch rifles..
Springfield Battery: 172 Hotchkiss canister; 236 James shot, 212 James Shells, and 30 James canister, all for 3.80-inch rifles. Springfield Battery: 36 Tatham’s canister for 3.80-inch rifles. Chicago Board of Trade Battery: 173 shot, 283 case, and 244 canister for 6-pdr field guns. Henshaw’s Battery: 286 shot, 315 case, and 138 canister for 6-pdr field guns. Bridges’ Battery: 4 shot, 148 shell, and 34 case for 12-pdr Napoleons. No canister. 14th Illinois Cavalry: 108 shell, 576 case, and 60 canister for 12-pdr mountain howitzers. Chicago Board of Trade Battery: 7 shot and 30 percussion shell for 3.80-inch James. Chicago Mercantile Battery: 90 canister, 195 percussion shell, 201 fuse shell, and 281 bullet shell for 3-inch rifles. Cogswell’s Battery: 170 percussion shell for 3.80-inch James. Henshaw’s Battery: 95 percussion shell and 80 fuse shell for 3.80-inch James. Bridges’ Battery: 66 canister, 130 percussion shell, 186 fuse shell, and 163 bullet shell for 3-inch rifles. Colvin’s Battery: 38 canister, 50 percussion shell, and 160 fuse shell for 3-inch rifles. Chicago Board of Trade Battery: 33 cansiter for 3.80-inch rifles. Chicago Board of Trade Battery: 33 shot and 45 shell for 3.80-inch rifles. Colvin’s Battery: 165 case for 10-pdr Parrott. Chicago Board of Trade Battery: 219 shell for 3.80-inch rifles. Henshaw’s Battery: 66 shell for 3.80-inch rifles. Colvin’s Battery: 23 case for 10-pdr Parrott. Cogswell’s Battery: 149 canister for 3.80-inch rifles. Springfield Battery: Ten horse artillery sabers. Chicago Board of Trade Battery: Two Army revolvers, 133 Navy revolvers, eight cavalry sabers, and twenty horse artillery sabers. Chicago Mercantile Battery: One Army revolver and four horse artillery sabers. Cogswell’s Battery: Two Army revolvers and two cavalry sabers. Henshaw’s Battery: Eighteen Army revolvers and sixteen horse artillery sabers. Bridges’ Battery: Ten Army revolvers, fifteen cavalry sabers, and five horse artillery sabers. Colvin’s Battery: Two Navy revolvers and eight cavalry sabers. 14th Illinois Cavalry Section: Six rifled muskets (foreign manufacture) and thirty-one Army revolvers. Consider here the story of Bridges’ Battery at Chickamuaga. I think we see some of that story reflected in the numbers reported for the returns. Certainly we see the reduction of the number of guns reported. Ammunition might be replenished, but I’d advance the quantities were still low for the battery (as resupply of Chattanooga was desperate until late November). 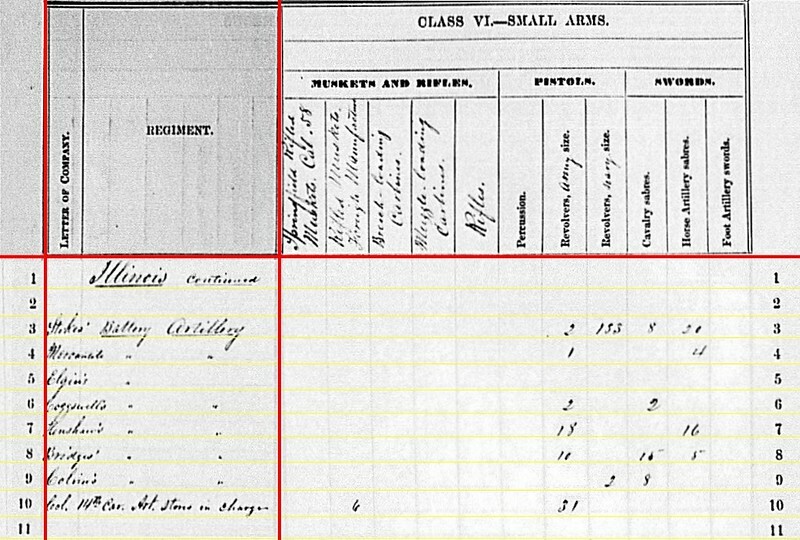 Though the small arms quantities look average for a field battery, I’d bet many of those men who survived September 20, 1863 would “acquire” more – officially or unofficially. Stoke’s [Stokes’] Battery: Also known as the Chicago Board of Trade Independent Battery Light Artillery, commanded by Captain James Stokes. At Murfreesboro, Tennessee with four 6-pdr field guns, one 6-pdr (3.67-inch) rifle, and two 3.80-inch James rifles. One of the 6-pdrs was a Confederate gun captured at Stones River, to replace a gun damaged in the battle. This battery was authorized as a seven gun battery during the quarter, presumably adding the 6-pdr rifle at that time. The battery was assigned to the Cavalry Corps, Army of the Cumberland. Vaughn’s Battery: Also known as known as the Springfield Independent Battery. Outside Memphis, at Germantown, Tennessee with six 3.80-inch James rifles. However, returns show Captain Thomas F. Vaughn’s battery was assigned to the District of Jackson, as part of Sixteenth Corps as of April 30, 1863. Same corps, just a duty location dependency. Busteed’s Battery: No report. This is an odd entry, if the name matches to other records. This battery, which according to a Chicago Tribune report dated February 17, 1862, was raised at war’s onset by Captain Richard Busteed, Jr. as the Chicago Light Battery (not to be confused with Battery A, 1st Illinois Artillery). They were soon assigned to Washington, D.C. However, when Busteed and other officers resigned in November 1861, leading to the battery being disbanded. Most of the artillerymen were reassigned to what became the 4th New York Independent Artillery. So why is there a line here? Phillips’ Battery: No report.Another curious line entry. This might match to Captain John C. Phillips’ Battery M, 2nd Illinois, which had suffered the indignity of capture at Harpers Ferry the previous fall. Cooley’s Battery: This was the Chicago Mercantile Independent Battery. Reporting at Milliken’s Bend, Louisiana with four 6-pdr field guns and two 3-inch Ordnance rifles. Under Captain Patrick H. White, this battery was assigned to Tenth Division, Thirteenth Corps. Bridges’ Battery: Also at Murfreesboro but with three(?) 6-pdr field guns, two 12-pdr Napoleon and two 3-inch Ordnance rifles. The battery formed from Company G, 19th Illinois Infantry, officially, in January 1863. 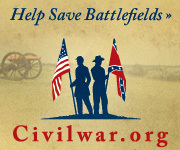 However, during the previous fall, the men had been detailed to service guns in the defenses of Nashville. Captain Lyman Bridges commanded the battery, which supported the Pioneer Brigade, Army of the Cumberland. Elgin’s Battery: Should read (non-possessive) Elgin Battery. Lieutenant Andrew M. Wood assumed command of this battery during the spring (replacing Captain George W. Renwick). The battery was assigned to the District of Western Kentucky. Later in June 1863, the battery reported four 24-pdr field howitzers and six 3.80-inch James rifles. But for the first quarter, we have no report. Colvin’s Battery: No report. This battery was being organized during the winter from parts of the 107th Illinois Infantry, 33rd Kentucky Infantry and 22nd Indiana Battery. Captain John H. Colvin’s command was part of the Department of the Ohio. Coggswell’s [Cogswell’s] Battery: Reporting at Camp Sherman, Mississippi with four 3.80-inch James rifles. Captain William Cogswell’s battery supported First Division, Sixteenth Corps at this time. When Cogswell moved up to command the artillery brigade, Lieutenant Henry G. Eddy assumed command of the battery. Henshaw’s Battery: At Loudon, Tennessee (which probably better reflects the November 7, 1863 reporting date) with four 6-pdr field guns and two 3.80-inch James rifles. This was Captain Edward C. Henshaw’s battery, which had just formed at the end of 1862. The battery was also part of the District of Western Kentucky. One side note, those batteries listed as part of the District of Western Kentucky at this time were soon pulled into the Twenty-Third Corps when General Burnside took command of the Department of the Ohio. So there was another administrative change for these batteries just weeks into the next quarter. Of those reporting, we see fifteen 6-pdr smoothbores, one rifled 6-pdr, and fourteen James rifles. Quite possible that all three types used the same casting pattern – that of the Model 1841 field gun. Keep such in mind as we review the ammunition reports. Stokes’ Battery: 334 shot, 302 case, and 259 canister for 6-pdr field guns. Vaughn’s Battery: 72 shell, 42 case, and 50 canister for 12-pdr field howitzer. Recall the battery reported similar quantities on hand the previous quarter, with no weapons in that caliber on hand. Cooley’s Battery: 397 shot, 327 case, and 74 canister for 6-pdr field guns. Bridges’ Battery: 98 shot, 366 case, and 122 canister for 6-pdr field guns; 100 shot, 50 shell, 250 case, and 50 canister for 12-pdr Napoleon. Henshaw’s Battery: 522 shot, 406 case, and 84 canister for 6-pdr field guns. So just one question mark, and that one retained from the previous quarter. Cooley’s Battery: 44 canister, 96 percussion shell, 82 fuse shell, and 167 bullet shell, Hotchkiss, for 3-inch rifles. Bridges’ Battery: 84 canister, 65 percussion shell, 320 fuse shell, and 115 bullet shell, Hotchkiss, for 3-inch rifles. Cogswell’s Battery: 148 shot, Hotchkiss, for 3.80-inch James rifles. Henshaw’s Battery: 40 percussion shell, 80 fuse shell, and 280 bullet shell for 3.80-inch James Rifles. Stokes’ Battery: 40 canister, Hotchkiss, 3.67-inch rifle caliber. Vaughn’s Battery: 180 canister, Hotchkiss, 3.80-inch rifle caliber. Stokes’ Battery: 33 shot and 72 shell, James, 3.80-inch. Vaughn’s Battery: 250 shot, 451 shell, and 30 canister, James, 3.80-inch. Cogswell’s Battery: 31 shot, 327 shell, and 47 canister, James, 3.80-inch. Henshaw’s Battery: 120 shell, James, 3.80-inch. Stokes’ Battery: 392 shell, Schenkl, for 3.80-inch rifle. Vaughn’s Battery: 36 canister in 3.80-inch. Cogswell’s Battery: 107 canister in 3.80-inch. Stokes’ Battery: Eight Army revolvers, eight cavalry sabers, and twenty horse artillery sabers. Vaughn’s Battery: Ten horse artillery sabers. Cooley’s Battery: Four horse artillery sabers. Bridges’ Battery: Ten Army revolvers and fifteen cavalry sabers. Cogswell’s Battery: Two Army revolvers and six horse artillery sabers. Henshaw’s Battery: Twenty army revolvers and twenty horse artillery sabers. So not a lot of small arms issued to the batteries. We might translate such to indicate these were artillerymen who were primarily performing the role of artillerymen. Overall, we see one nice line item separation that I’d like to highlight. The rifled 6-pdr guns and the James 3.80-inch rifles are very similar in many regards, notably metal used, external appearance and rifling standards. However, they were slightly different calibers. Exactly 0.13-inch different as we dry measure things. But that difference meant ammunition lots had to be kept straight. We see indications that was done in Stokes’ Chicago Board of Trade Battery.